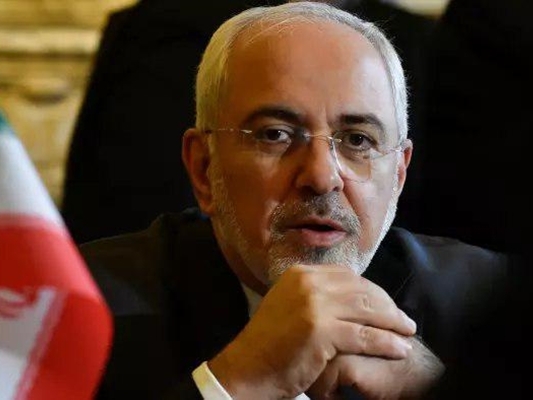 Addressing the forum, Iranian Foreign Minister Javad Zarif said in the seventy-year friendship both Pakistan and Iran stood by each other in hard times. "The Pakistani government is already working on strengthening cooperation between the two countries' chambers of commerce", he said. Iranian Foreign Minister Mohammad Javad Zarif (L) and Pakistani Prime Minister Shahid Khaqan Abbasi meet in Islamabad on March 12, 2018. Mohammad Javad Zarif called on Speaker National Assembly Sardar Ayaz Sadiq in Parliament House Islamabad on Monday and discussed matters pertaining to bilateral relations and regional issues. During the business forum, Pakistani Foreign Minister Khawaja Muhammad Asif who co-chaired the forum with his Iranian counterpart, welcomed Zarif's suggestion for bolstering mutual trade relations. "Trade with Iran has increased by USD1 billion", said Pakistan's foreign minister. Iran's envoy to Pakistan Mehdi Honardoost last month said that establishment of bilateral banking ties was being delayed because of Islamabad's "conservativeness", while Islamabad-Pakistan gas pipeline project remains frozen. The premier said Pakistan believed that a peaceful and stable Afghanistan was vital for the economic progress of the region. Zarif also remarked that extremism and terrorism spread due to poverty.